One of my favorite eyeshadow formulas is from Makeup Geek. A magnetic palette on Poshmark recently caught my eye and I had to have it, and of course I had to fill it with more single shadows! MAC is now out of the picture for me, and I've considered buying from Colourpop, but Makeup Geek is my go-to and my wishlist was getting pretty long. 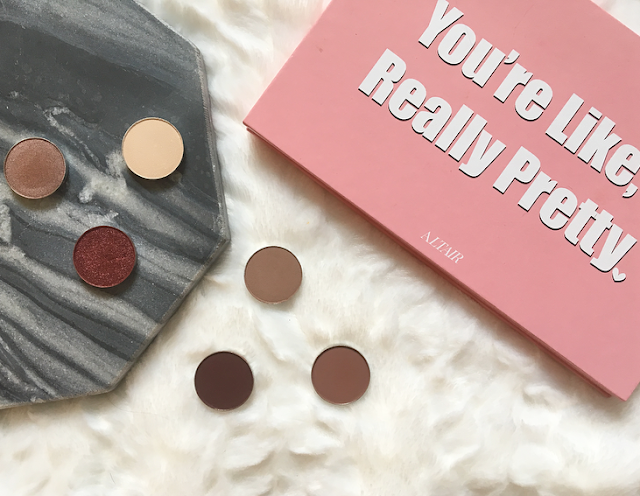 I picked out a good variety of mattes, shimmers, and a foiled shade and so far they are making great additions to my palettes! I now have two large magnetic palettes, one is a lavender Z palette and the other is a large Altair palette with a Mean Girls quote on it. Mean Girls is my favorite movie of all time, which is why I had to have this palette. I've separated my single shadows into warm tones and cool tones, and I have a good amount of each. The new shades I picked up are also a mixture of the tones so I am slowly creating my perfect palettes. 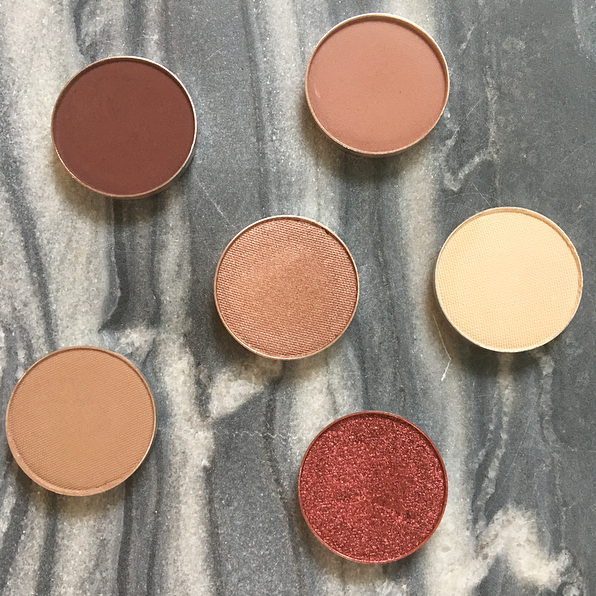 I've blogged about my other single shadows in this post! Curtain Call: a stunning foiled cranberry shade. I cannot wait to play with this, the formula is so smooth and metallic. I literally gasped the first time I swatched it. Vanilla Bean: I love a good light, matte shade on the browbone so I had to add this to my cart! It's definitely a useful shade, even if it isn't very unique. Aphrodite: This matte is a little on the dry side, not as creamy as what I've come to expect from Makeup Geek. It's a simple matte dark brown with a hint of burgundy/plum. I think this was in the Manny MUA palette but I'm not positive! Lucky Penny: I love shades like this all over the lid, it's a beautiful shimmery/metallic taupe shade. It also has a bit of warmth to it, it's definitely more brown than gray, but it is a pretty shade with a beautiful formula. Wild West: I think that this shade is just like Lucky Penny but matte! They will look so nice together and this one has the usual Makeup Geek matte formula, no dryness or patchiness here. Barcelona Beach: a matte cool-toned taupe that I'm going to use to add depth to the crease. Only Curtain Call is a really unique shade to my collection (it reminds me of MAC's Cranberry!) but the others are meant to make it easier to use the rest of the shadows I have. You can never have enough crease shades, after all, especially if they are just slightly different in tone. I'm sure everyone can see the difference that it makes in my day-to-day neutral eyeshadow looks (insert eye roll emoji at myself here). 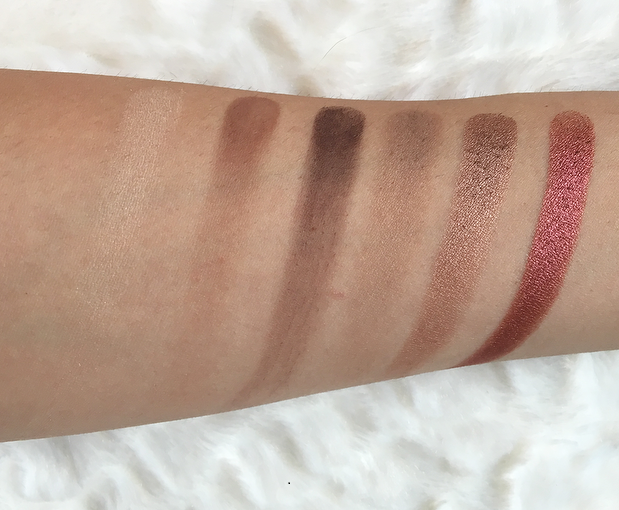 Anyway, what do you think of these Makeup Geek shades? Are there any that you think I'm missing? 16 comments on "A Little Makeup Geek Haul"
Gosh, I swear I am the only one who hasn't tried her eyeshadows until today! LOL! I love Makeup Geek shadows, especially her foiled shadows! Curtain Call looks stunning! A few of those are on my list as well! Curtain Call is stunning! I have never tried Makeup Geek before but I've heard great things about them.